The weekend is here and I have a simple recipe for you that can be changed hundreds of different ways with delicious results. This one was inspired by the October issue of Cooking Light and is suitable for any meal of the day. It is so easy and so quick that you just have to try it! It's perfect for weekend cooking and this version is vegetarian. Preheat broiler. Clean* and slice the mushrooms. Heat an ovenproof skillet (I use an iron skillet) over medium-high heat with non-stick cook spray (or use a small pat of butter or drizzle of olive oil). Saute mushrooms until lightly browned - about 7 minutes. 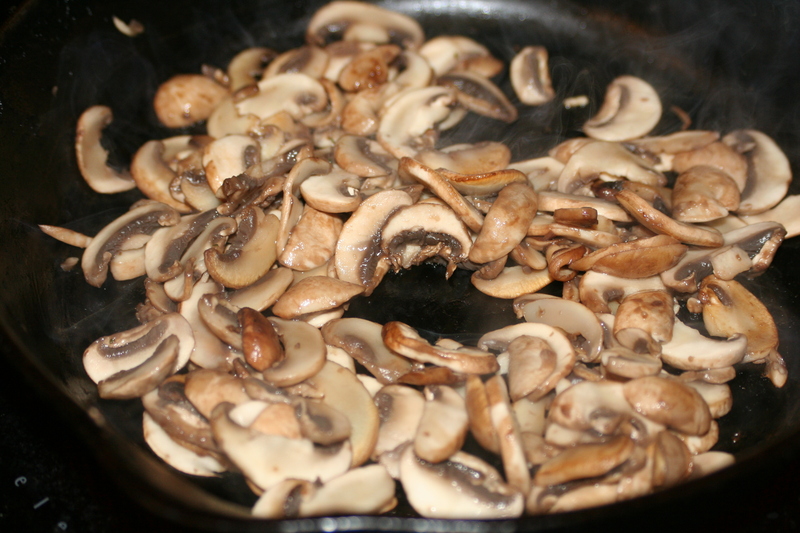 Remove from heat and put mushrooms in a bowl. 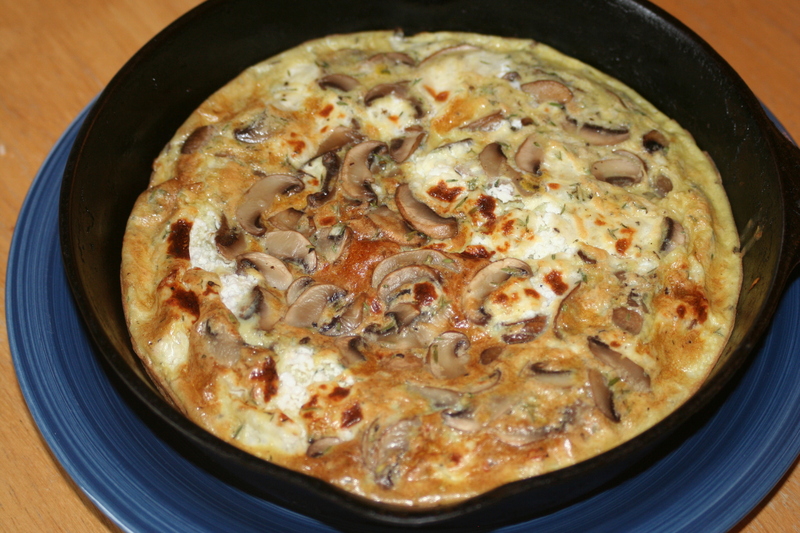 Combine eggs, goat cheese, thyme, pepper, salt, and mushrooms in a medium bowl with a whisk. Spray skillet again and place over medium heat. 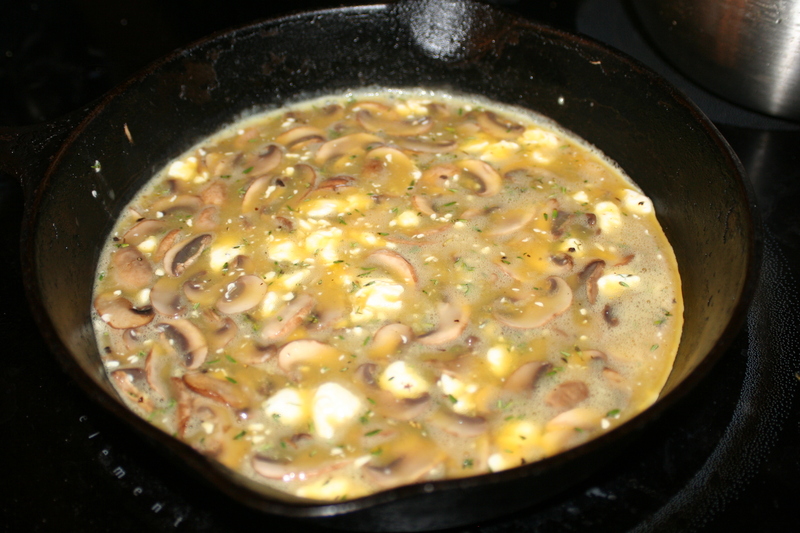 Add egg & mushroom mixture. Cover and cook for 3 minutes or until almost set. Remove from heat and place under broiler for another 3 minutes or until completely cooked and golden on top. Cut into wedges. *Do not run mushrooms under water to clean, they will retain the water and become woody. Instead, gently wipe clean with a damp towel or paper towel. I would have especially enjoyed some shallots in this version and if not making it vegetarian, a little bacon. Enjoy!